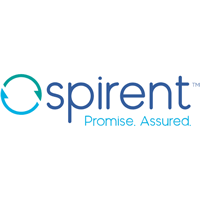 Spirent Communications plc (LON: SPT), a leading communications technology company, today issued the following Trading Update for the final quarter of the Company’s financial year, from 1 October to 31 December and for the year in full, noting all financial results are subject to external audit. Good momentum continued into the final quarter of 2018, with the Group securing a number of important contract wins. For ongoing businesses1, order intake in the financial year totalled $470 million, up 6 per cent on 2017, and revenue grew by 6 per cent to $477 million. In particular, we benefited from strong growth from our Networks & Security operating segment and as predicted, we experienced an increase in demand for 400G high-speed Ethernet test solutions. As previously highlighted, growth in our Positioning business has been particularly strong and includes the benefit from significant one-off business with a US defence contractor (c$10 million revenue) which we don’t expect to repeat in 2019. Due to significant reorganisation in our key customer base for Lifecycle Service Assurance, we saw only modest annual revenue growth for this business. Connected Devices delivered strong profit growth in the year, driven by effective cost management. We continue to manage our costs effectively, ensuring we retain R&D focus on our optimal growth vectors and invest in our capabilities to sell our assurance solutions to key customers. Improvement initiatives implemented during the year meant we were able to mitigate cost inflation and maintain a broadly flat cost base. We now expect to deliver an adjusted operating profit2 in the range $75 million to $77 million, demonstrating a year of strong profitable growth, up circa 30 per cent on the prior year, exceeding market expectations. The balance sheet remains strong, with cash closing at just over $120 million after dividend payments totalling $55 million during the year. 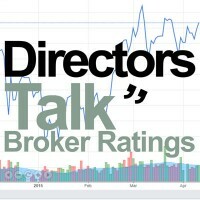 The Company will host a results presentation at 09.30am UK time on Thursday, 7 March 2019 at FTI Consulting Limited, 200 Aldersgate, Aldersgate Street, London EC1A 4HD. Click SPT for the full archive.